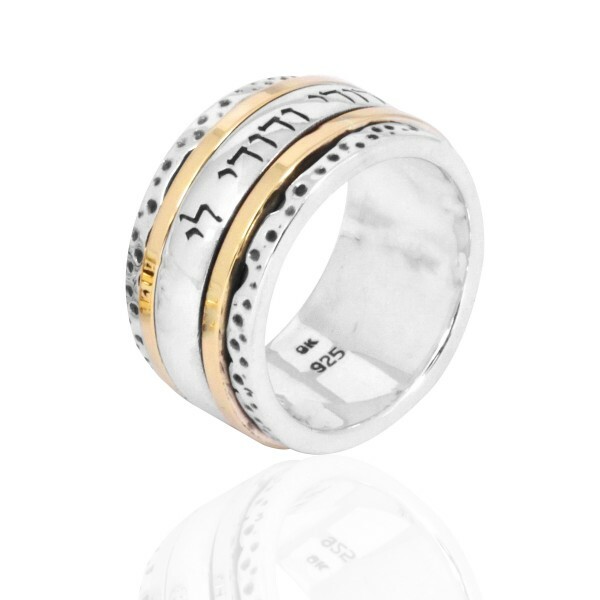 This lovely spinner ring is made of Sterling silver and 9k gold and features a marriage related verse from the song of songs. Fashionable and finger friendly, it is a lovely way to keep your mind on love. 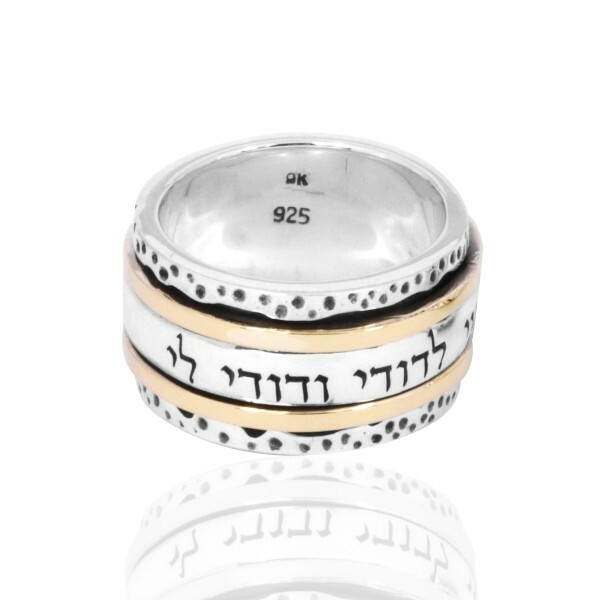 This stylish wedding ring is made of Sterling Silver as well as 9K Gold and features a quote from the Song of Songs: "I Am For My Beloved and my Beloved is for Me." A hammered texture, it is a spinner ring. the center of which spins around and makes it a wonderful way to keep the fingers busy.